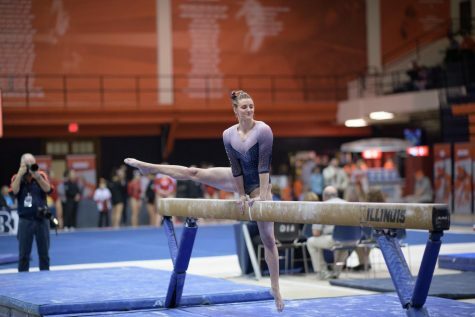 Illinois' Lizzy LeDuc performs a routine on the balance beam during the State of Illinois Classic at Huff Hall on March 5, 2015. 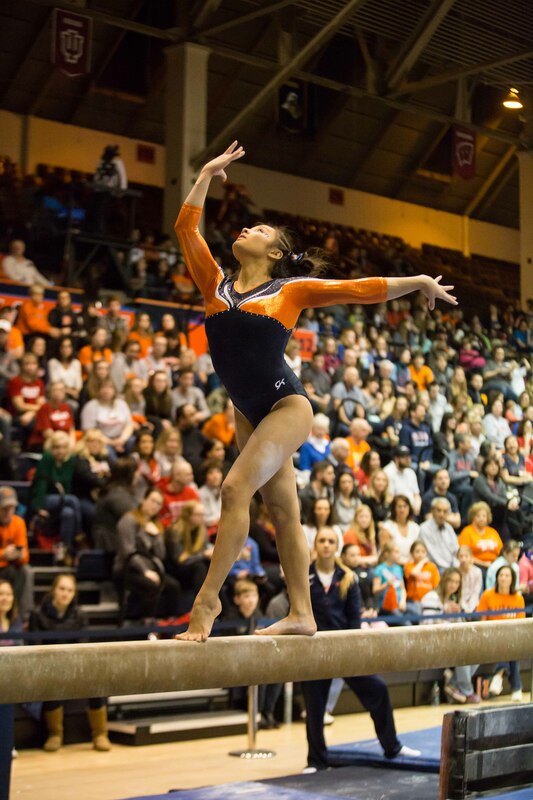 LeDuc was named Big Ten Gymnast of the Week for her performance in the Illini's home opening meet. It is her second time earning the honor. After her performance in the Illinois women’s gymnastics home opening meet, the Big Ten named Lizzy LeDuc Big Ten Gymnast of the Week. 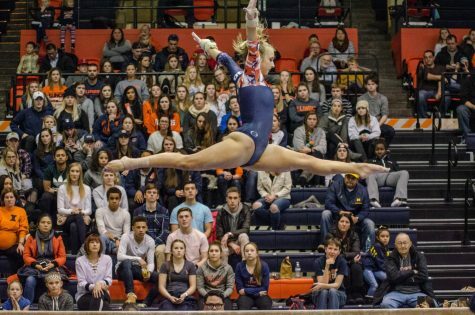 The sophomore competed in the all-around, floor, vault and beam against Rutgers, Eastern Michigan and UIC at Huff Hall. LeDuc posted a 9.850 on the vault and a 9.750 on the bars. She continued with scores of 9.925 on beam and 9.900 on floor, resulting in her winning all four events. Her final total was 39.425 — her career-best all-around score. This is LeDuc’s second time achieving the weekly honor, earning it last year on the final week the award could be given. LeDuc succeeded on the beam last year and continued into this season. 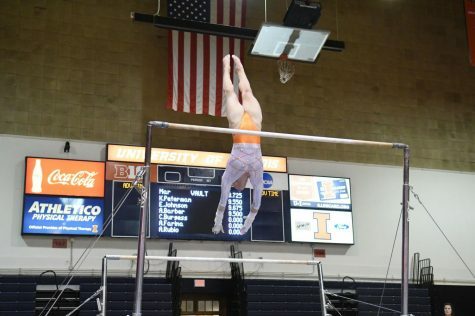 In her first meet of the 2017 season, Leduc scored a 9.875 in the event, helping the Illini to a second-place finish against Missouri and Ball State. 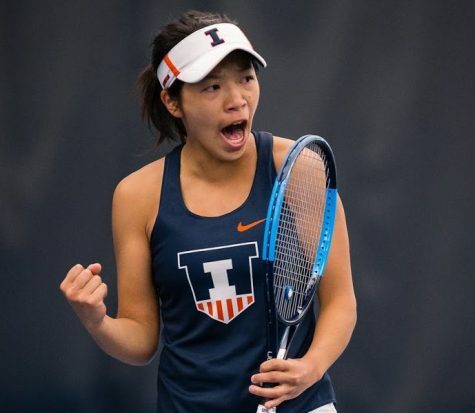 LeDuc can add this year’s award to the many achievements she has garnered throughout her college career. During her freshman season, LeDuc became the first freshman since Allison Buckley in 2008 to qualify individually for the NCAA Championships. The Dallas native earned the third-highest floor score in school history in last year’s Salt Lake City Regional. She has accumulated three individual titles over her college career — one on floor and two on beam. 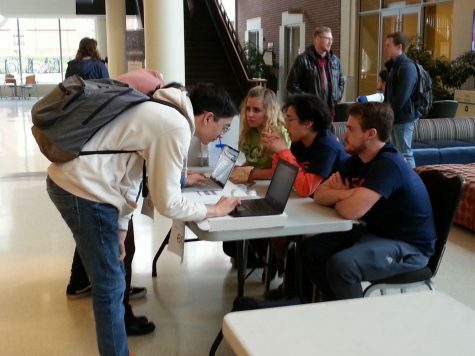 The Illini ended the meet in first place with a score of 195.900. Eastern Illinois, Rutgers and UIC finished second, third and fourth, respectively. LeDuc will next compete on the road on Jan. 22 against Michigan.